Foot injuries resulting from St. Louis car accidents are often expensive to treat and may take months to recover from. Foot injuries are a common outcome of car accidents. Car accidents can cause foot injuries like fractures and broken or fragmented bones, moderate to acute bruising, sprains strains and torn ligaments, ruptured tendons, puncture wounds, and deep cuts and abrasions. Such injuries can alter normal life due to the long recovery time that can stretch into recovery after surgery, months of therapy, medication, and long periods of limited activity can hamper normal life. 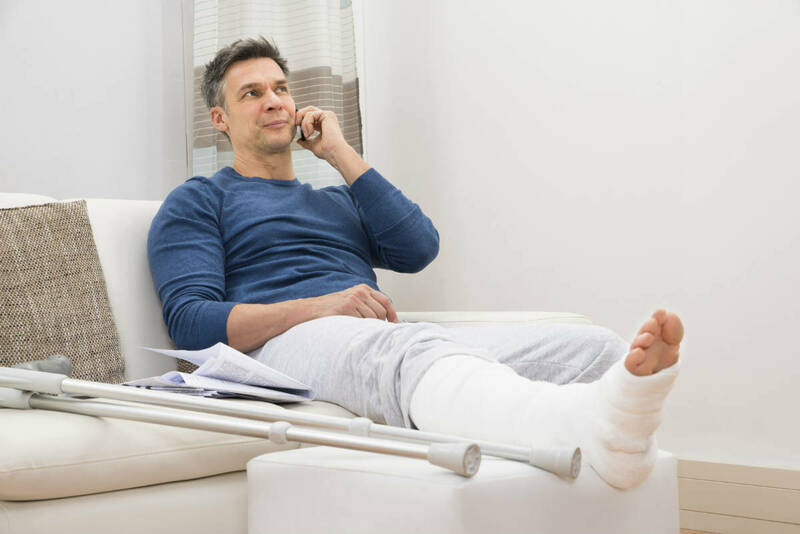 In this post, our St. Louis attorneys will discuss common foot injuries that may result from car accidents. Foot injuries can be classified into acute injuries, compartment syndromes of the foot, metatarsal fractures and calcaneus fractures or fractures of the heel bone. Injuries such as fractures and broken or fragmented bones, moderate to acute bruising, sprains strains and torn ligaments, ruptured tendons, puncture wounds, are classified under acute injuries. Compartment Syndrome refers to injuries caused to the compartments of the foot that comprise of nerves, muscles, and tendons bound together by a tight membrane. Such injuries usually include swelling of the muscle tissue in the compartments caused due to internal bleeding, leading improper functioning of the nerves and muscles in the foot compartments. High impact accidents lead to these type of injuries. Fractures in the metatarsals or the long bones of the foot are the most common type of foot injury. They can range from a simple twisted foot, a fracture or a crushed foot due to a heavy object falling on the foot. Severe metatarsal fractures mostly require surgery whereas minor fractures can be cured with a boot or a cast. Metatarsal fractures take a minimum eight to ten weeks to heal in a cast with a 70% success rate, and about six weeks with surgery. However, screws inserted during the surgery are usually taken out around four or five months later. This indicates long periods of inactivity without the use of the foot. A huge impact or force crushing the heel bone into fragments results in calcaneus fractures. Calcaneus fractures require immediate medical attention and surgery is the only option to avoid deformity of the heel, chronic pain, and arthritis setting in. Calcaneus fractures generally require surgery that includes either putting a metal plate and screws to put the bones back together or if the heel was severely fractured, fusing of the bone may be required. These procedures require a minimum of six months of healing time aided with therapies. Foot injuries can leave an individual out of action for quite some. Surgery, healing, therapies, and exercises often do not permit a foot injury victim to resume walking on the treated foot for months. Many lose their jobs or require taking long breaks for recovery. This results in significant lost wages, adding more stress to the already stressful situation. If you have been injured in a St. Louis car accident, it is in your best interests to speak with an experienced car accident attorney. At The Hoffmann Law Firm, L.L.C. we have a proven track record and can evaluate your case for free. Call us 24/7 at (314) 361-4242 to schedule a free consultation.